The pyramid is an interesting 3D shape, which we learn in math. It is also fun to make the models of pyramids. Have you ever tried making a pyramid? In ancient times there were people who were interested about this fantastic shape and made huge monuments in the shape of pyramids. These structures were absolutely remarkable. Even after thousands of years people still get astonished by them. One great example of such monuments is ancient Egyptian pyramids. In this lesson, let’s talk all about ancient Egyptian pyramids. Pyramids are massive stone structures that have amazed people from ancient time to the present day. Who built pyramids in the world? What are the biggest pyramids in the world? Egyptian pyramids are the biggest pyramids in the world. Who ordered to build Egyptian pyramids? Why did they build pyramids? Ancient Egyptians believed in life after death.So pharaohs ordered to build pyramids to keep their dead bodies and belongings such as their wealth, jewels, furniture, paintings, and even the slaves, who served for the particular pharaoh. 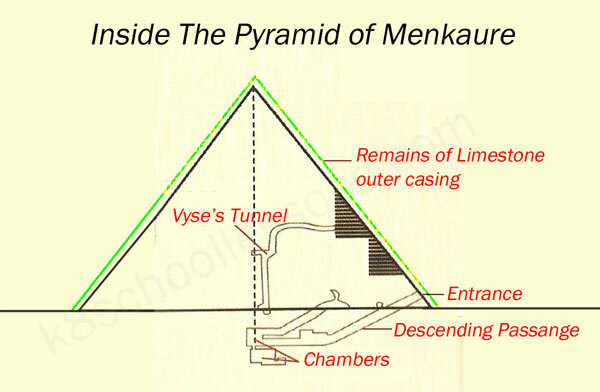 Therefore, these pyramids were tombs of ancient Egyptian kings and queens. They also made everyone who lived afterwards know how great they had been by building pyramids. When were Egyptian pyramids built? Ancient Egyptians built pyramids about 4500 years ago and it took many years to build just one pyramid. Where did they build pyramids? They built pyramids on the west bank of the Nile. These pyramids are called the pyramids of Giza. This area where pyramids were built is called the valley of the kings. What are the three major pyramids at Giza? The interior of these pyramids has great architecture. What is the largest and most famous pyramid? 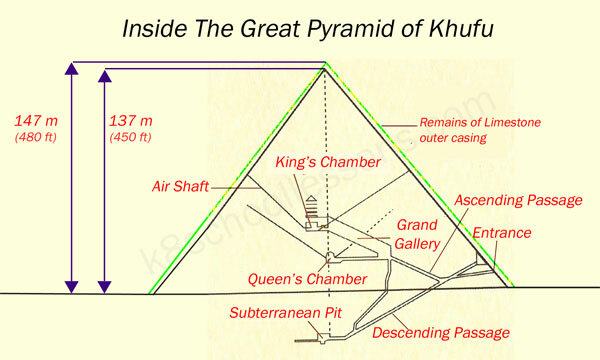 The Great Pyramid (the pyramid of Cheops or the pyramid of Khufu) is the largest and most famous pyramid. Who ordered to build The Great Pyramid? 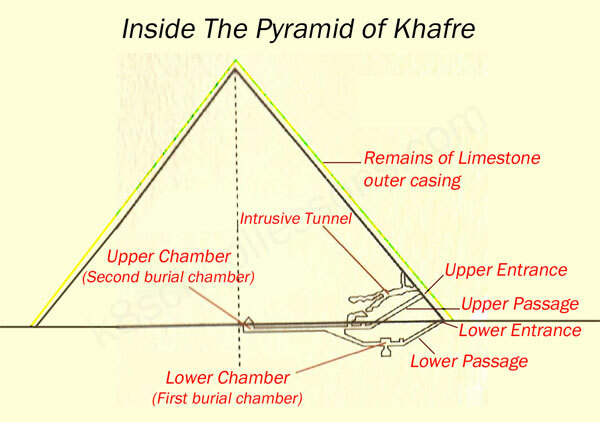 The Pharaoh Khufu ordered to build The Great Pyramid. It is about 147 metres high. That’s 50 stories high! It took 20 years to build The Great Pyramid. The Great Sphinx is a kind of a statue stands in front of all the pyramids in Giza. It has the body of a lion and the head of a pharaoh. Building a pyramid was a massive job. Thousands of laborers had to work for years to build a pyramid. They cut millions of huge stone blocks. The ancient Egyptians did not have cranes or pulleys to help them lift these huge stones. All their buildings were made using ramps, ropes, wooden rollers, levers and muscle power. 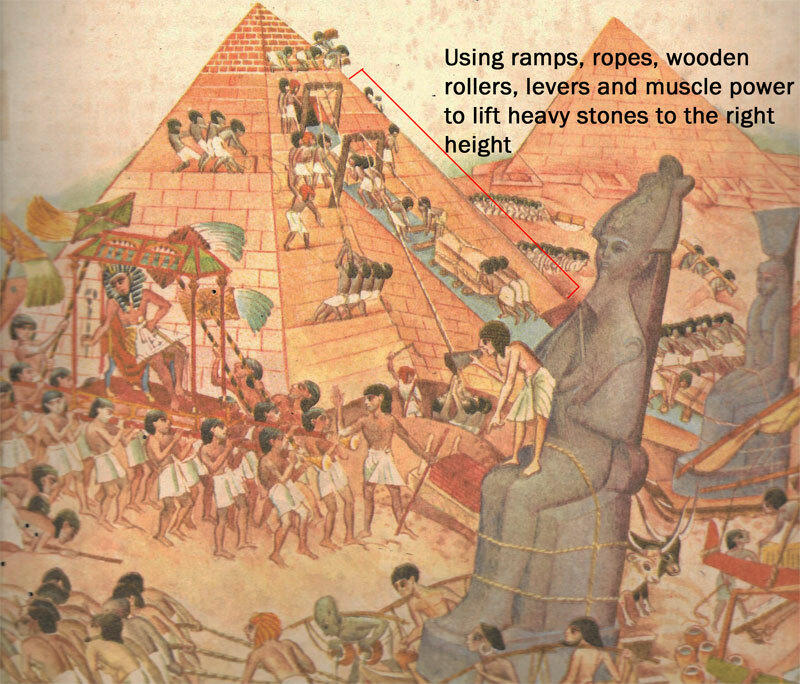 How did ancient Egyptians manage to lift huge pieces of stones to the right height? For this they used ramps (An inclined or slanted surface connecting two levels). First they made sloping paths. Then they dragged blocks of stone along them on sledges. What were the metals used to make ancient Egyptian tools?